For Members of the studio only. 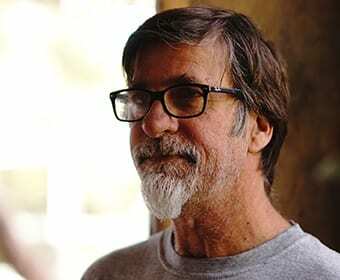 This page is for Members with prior experience working with clay. If you are new to clay, please see the Classes for new students. Call 650-557-0683 for more info. Clay used must be purchased at the studio. Other benefits of membership include participation in the Gift Shop display, three annual sales events, and free raku firing. For students using clay for the first time. All materials are provided. 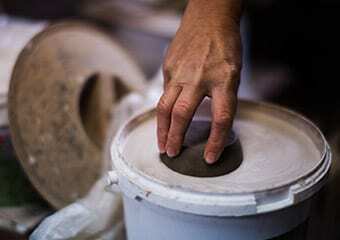 Students will explore the fundamentals of wheel-thrown pottery. This is an 8-week course. Tuition is $280 for the full course. 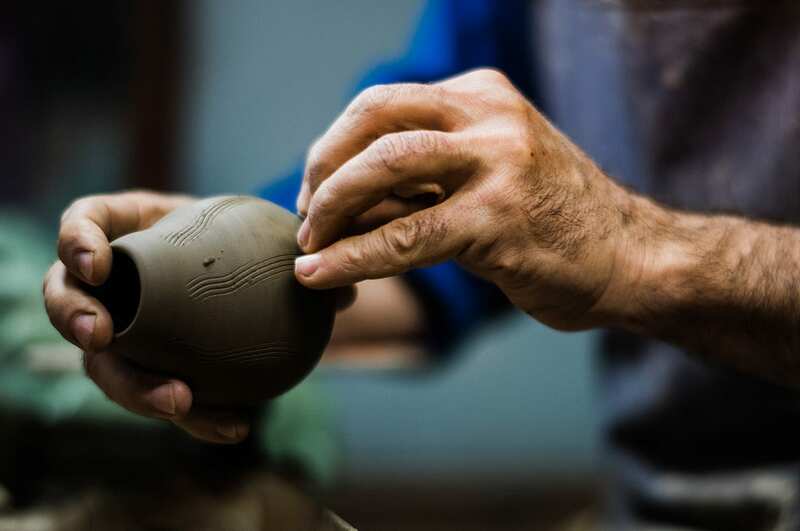 Experienced potters learn more about form, surface design and continue with exploring their own ideas and style of work. Two new projects offered and demonstrated monthly. Reduction firings in our gas kiln are offered in this class. Studio members may choose this ongoing course as part of their $140 membership. 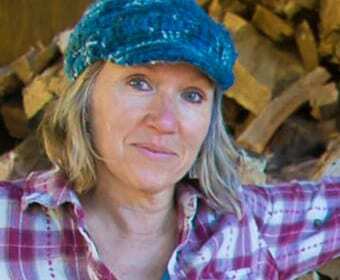 This class is for students who have mastered the basic throwing skills and are now challenging themselves with projects, ideas and working with larger amounts of clay. Two new projects offered and demonstrated monthly. Studio members may choose this ongoing course as part of their $140 membership. Work on building basic throwing skills and techniques. Projects are offered just as in other classes, but might be adjusted to meet one’s own experience level. Two new projects offered and demonstrated monthly. Studio members may choose this ongoing course as part of their $140 membership. The emphasis is on developing good throwing techniques. Learn and understand simple forms like bowls, mugs, plates, and vases. New projects and demonstrations are given monthly. Studio members may choose this ongoing course as part of their $140 membership. Clay slab, coil and pinch techniques. 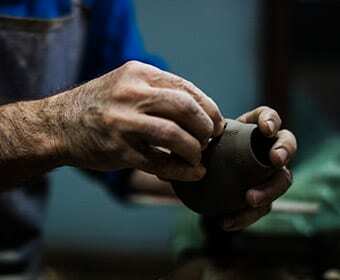 Projects range from decorative and artistic to functional pottery such as cups, bowls and plates. There are two concurrent classes. 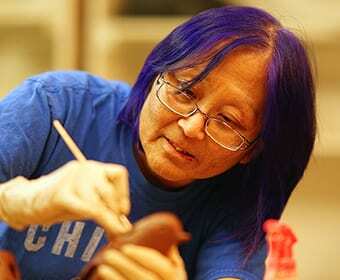 For students using clay for the first time, all materials are provided, and the course is 8 weeks long. Tuition is $280 for the full course. 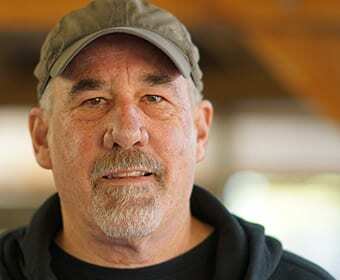 Studio members may choose the ongoing course as part of their $140 membership. Learn how to make a 3 dimensional design on ceramic tiles or a simple beginning clay sculpture. All glaze and colored slip techniques included. 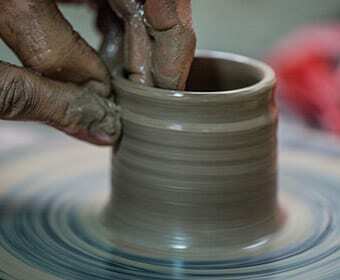 Great place to learn pottery and enjoy the community of artists. Had a great time learning how to center and shape clay. Amazing to see how a shapeless clay is transformed into a usable object. Owner was great and made our experience with pottery fun! Content © 2019, claycreationspacifica.com. All rights reserved.